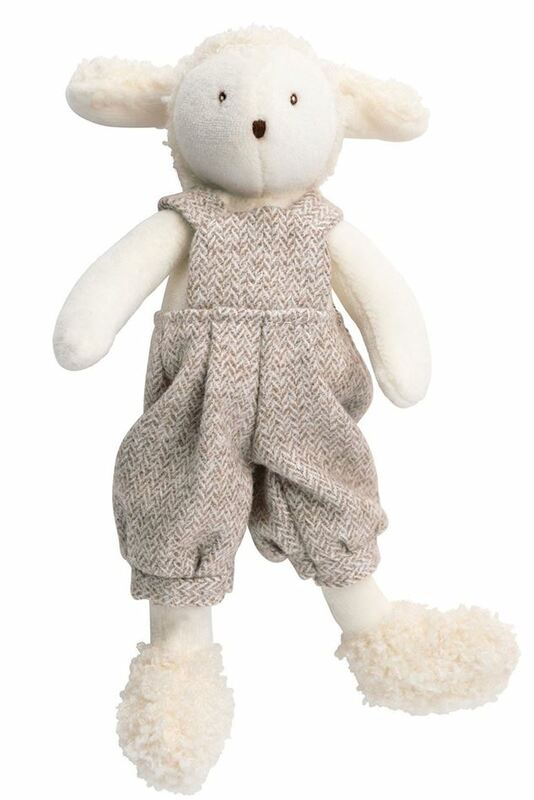 Tiny Albert the Sheep is part of the popular Moulin Roty La Grand Famille range, dressed in stylish dungarees how can you resist this little fellow. Tiny Albert the sheep by Moulin Roty is a smart fellow with his stylish removable outfit. His long dangly arms and legs make him great for little hands to hold. Made from soft materials and fully washable he makes the perfect companion.